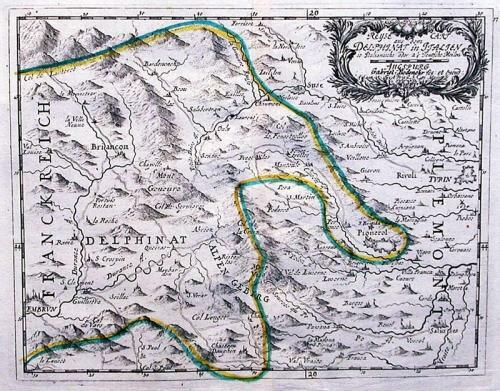 A 300 year old tourist map and guide of the Piedmont district to the east of fortified City of Turin. Of special interest are the large fortifications of the town of Pinorolo guarding the valley of the Chisone. The map shows a numerous roads through the Alps. Also shown is the source of the river Po. Scarce. Fold(s) as given.